Button size, economic glucose monitor with advanced technology and good reliability. A convenient way to measure your blood glucose levels and transmit by your phone. Ear phone universal plug compatible with any mobile. 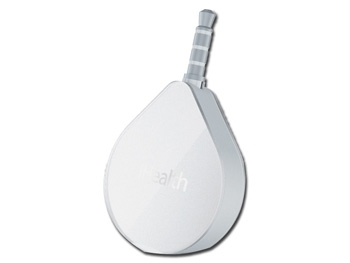 Free Apple and Android App: iHealth Glucosmart and iHealth MyVitals.